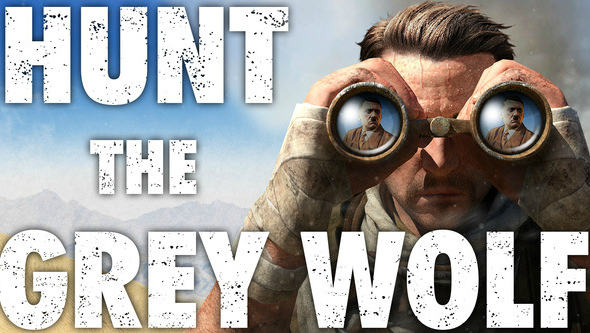 Recently Rebellion company has published the short Sniper Elite 3 trailer, which promotes the first shooter’s DLC, titled Hunt the Grey Wolf. According to the official information, all the players, who will pre-order the new part of the game series, will get this add-on absolutely for free. The new Sniper Elite 3 trailer demonstrates the exclusive mission, during which the main character - sniper Karl Fairburne - will have to hunt down and vanish the Grey Wolf. But who’s hiding under this pseudonym? In 1924 Adolf Hitler, under the Grey Wolf codename, secretly came to the Tobruk town, which is situated in Libya. Fairburne got the mission to get rid of the fascist leader, but it turned out not so easy to do. Hitler had his double, who was a perfect copy of the Fuhrer. Will the protagonist be able to distinguish the real target from the fiction? Will he manage to complete one of the most difficult tasks? As the developers have said, Sniper Elite 3 game will have an expansive open world with a big amount of the accidental locations and targets. That’s why the second playthrough of the same path will bring the gamers a lot of surprises. You will get a chance to check it personally very soon, because Sniper Elite 3 game together with its first DLC will hit current and next-gen consoles in North America on July 1st and PC on June 27th. So did you like the latest Sniper Elite 3 trailer? Are you going to pre-order this shooter?